What images does the word blessing conjure up in your memory? Do you have to think hard to find a blessing in your life, or have you learned to trust God and find the blessings in your everyday life? Yesterday was a day full of blessings for us: we spent time with friends, including lunch, we found what we needed at the grocery store (on sale!) and we spent time talking as a family. 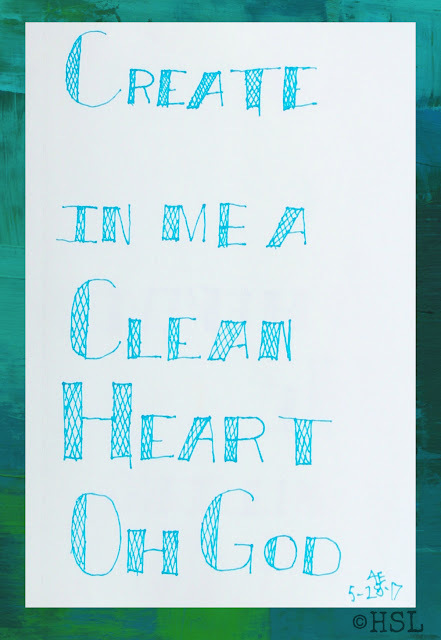 There are so many blessings around me everyday that I stand amazed at how much God loves me, a sinner! 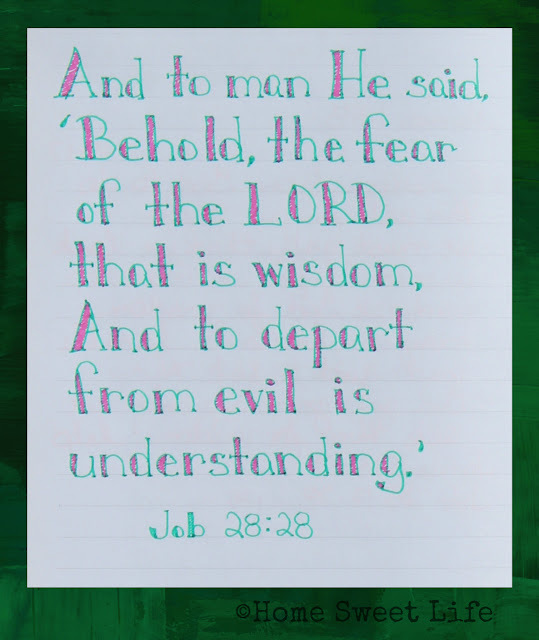 Because of the redemptive work of Christ on the cross, I can have fellowship with God, I can stand clean and forgiven, I can have a hope for tomorrow, next week, and my eternal future. Those are blessings that cannot be measured. 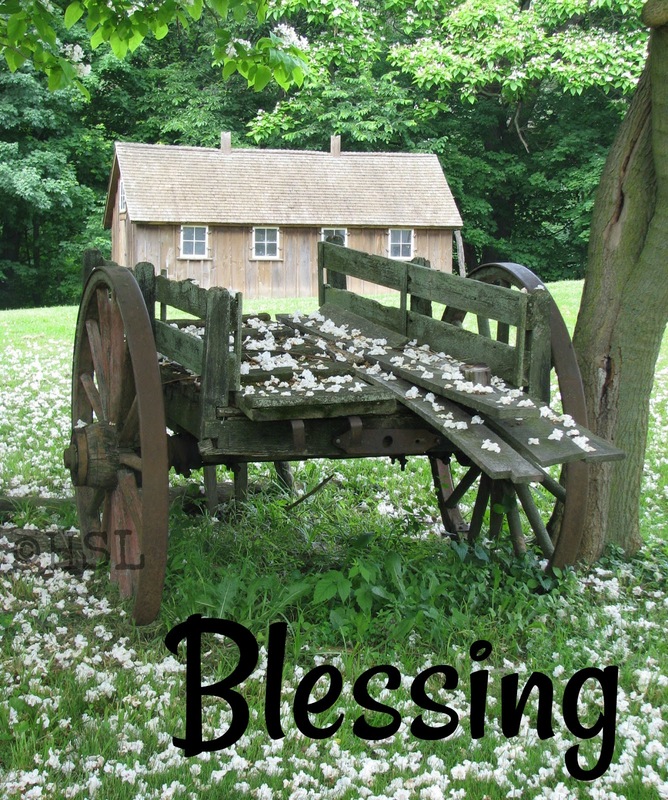 Count your blessings, name them one by one, count your blessings see what God has done! This week's letter of the alphabet is X. 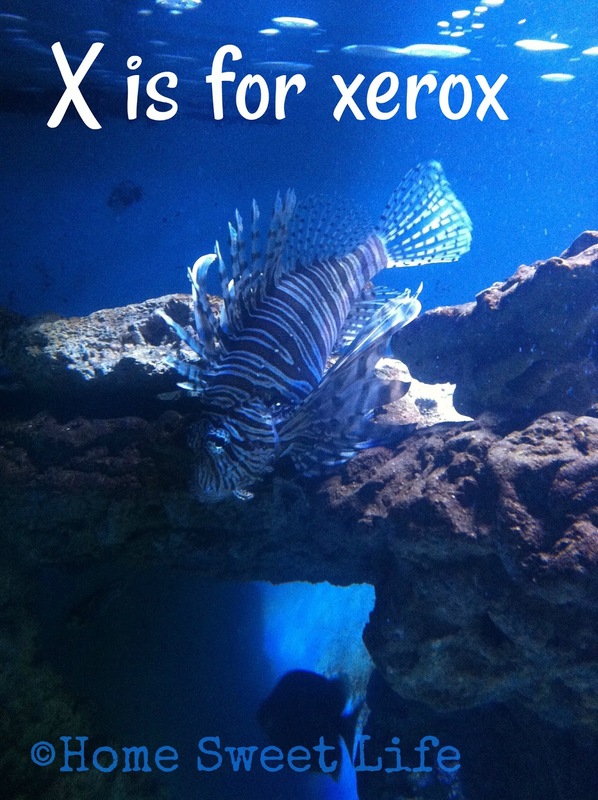 Ever since I first made notes about this blogging through the alphabet series when Amanda and Annette suggested it, I have had X filled in - with Xerox. Many of you today have a printer at home for your computer, and most of today's printers can also make copies. Hearken back a few decades to when I was a child. Computers were not in homes, they were at Universities, in large businesses, and some schools were just starting to get TRS80's to teach their students about this new computer age. If you wanted a copy made, and you were attending a small school like mine, your teacher might use the mimeograph machine. They would write on a paper that turned into a stencil, and then it would go around and around the drum of the machine and stick the colored ink, usually purple or green, to the papers for us to use in class. The problem? The chemicals stank and the pages would come out wet. 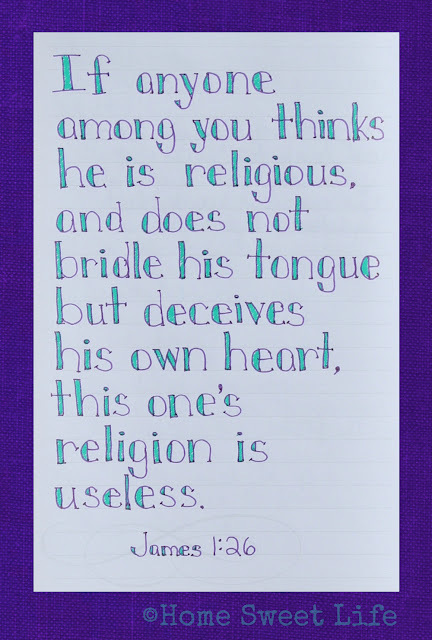 Not to mention you could only copy the things that someone could write or draw. The very first xerographic image was made in 1938. Xerox released its first commercially available copier (the 914) in 1959. If you would like to read the history, Xerox has a lovely PDF you can access here. What does all of this mean to me, and why am I so happy for the work Xerox has done over the years? Because today I can make a copy whenever I want, from the comfort of my home, on a small printer/ copier that I purchased for around $100. For a homeschooling Mama, Xerox (or its current competitor) is lifesaver, and a timesaver. Our local library still has a copier that you can use, for 10 cents a page. While that is fairly inexpensive, having one at home is even better! Some day soon I will need a new printer. We've had this one for about 3 or 4 years, and with having used it for two high schooler students, plus numerous 4-H projects and blogging activities, it is showing its age. Almost every home educating family I know has a copier at home. 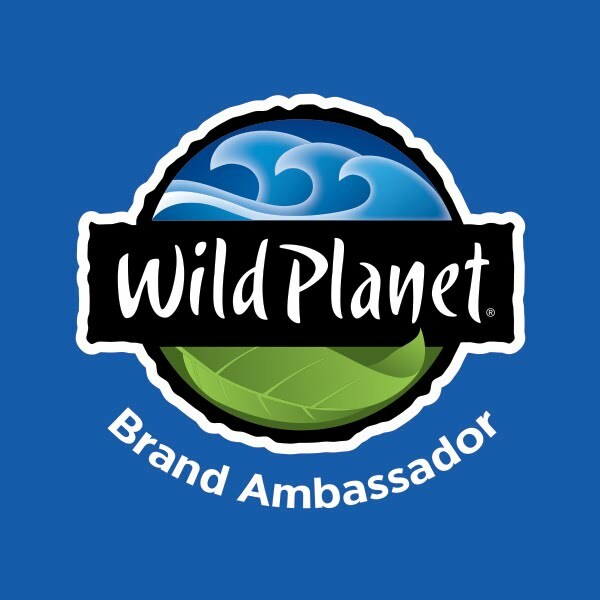 While the brands vary widely from Cannon to HP and others, one thing we can agree on is that they work. Thanks to the hard work of Xerox corporation, they work! They make our lives easier, and that is truly a reason to be thankful! W is for Wonder... as in let your children experience the wonder of new things at their own speed. As a family where both parents work, we have had to be intentional about a lot of things that it seems others just do naturally. Maybe they have to be intentional as well, but they might have a little more time to plan than we do. 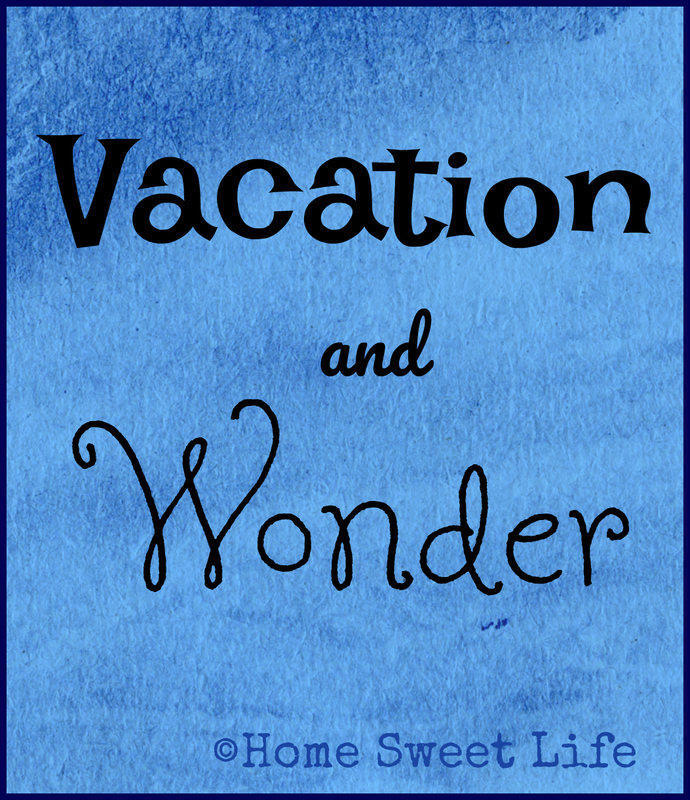 While it has often taken some creative budgeting to get there, we have been blessed to be able to take quite a few memorable vacations over these past 14 years of home education. Some only lasted 36 hours, a couple of them each lasted a week. 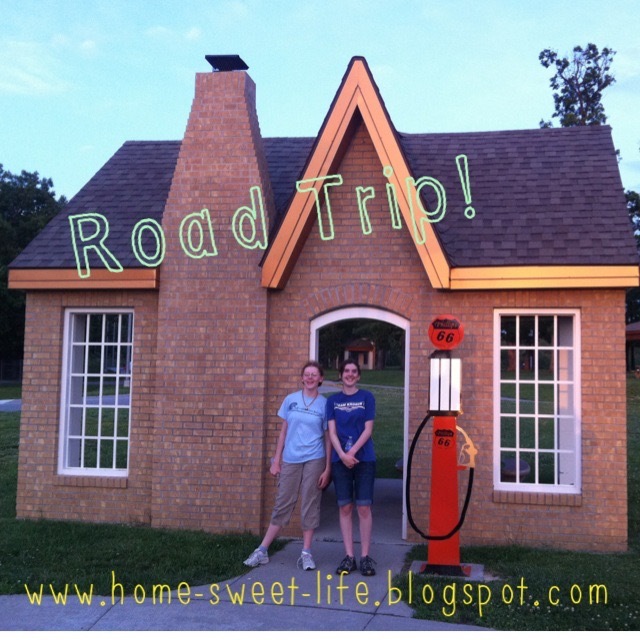 One of our favorite vacations was in 2013 when we travelled to Oklahoma. We were staying with our dear friends Mike and Ella for the week. They had invited us to visit them and attend the Delaware Nation Pow-wow with them. 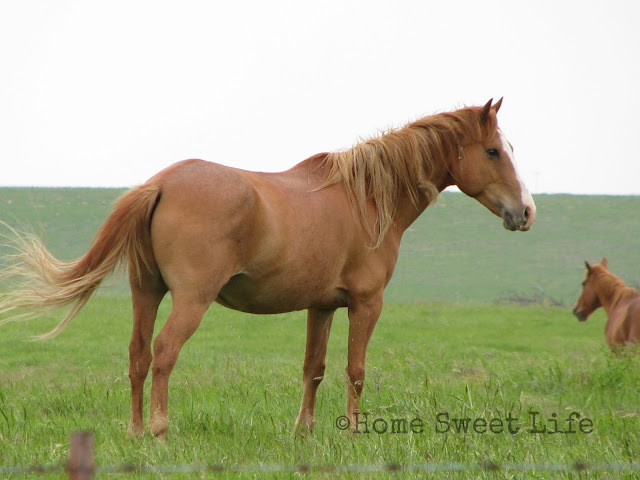 While there we also did a lot of sight-seeing, including seeing wild mustangs. Yes, there is a fence... on the side towards the state highway to keep the mustangs safe. On that vacation we also stopped at this adorable rest stop near Conway, Missouri. All of the picnic tables were enclosed in little Route 66 buildings. It is on I-44 at mile marker 111 Eastbound. Vacations can be a chance to visit friends, see new places, and get away from the ordinary routine of your life. Whether your vacation is two days or two weeks, we encourage you to go somewhere and make memories with your children. As in cultivate the wonder you see in your children's eyes. Let them explore something new. Let them meet new experiences at their own pace. 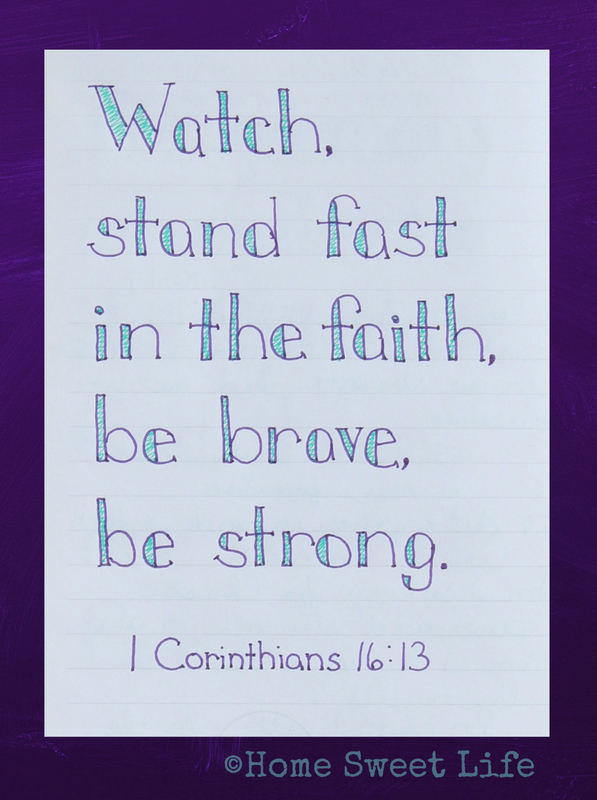 This requires us Moms to slow down, as we often like to keep a schedule and check boxes. Wonder does not come from checking boxes. Wonder comes from watching ants, playing in the sand, catching fireflies, camping in the woods, mixing paints. All of those great (mostly outdoors) activities I grew up with in the 1970's that so many parents today think are too full of germs. Germs, schmerms. Let your children get dirty. Let them have fun. Just last week our 17 year old paused what she was doing and sat for five whole minutes as she watched a spider wrap its prey up in a silk cocoon. "Mama, that was cool!" Do you still find wonder in the things of nature around you? Are you still amazed by the birth of a new baby, whether it be a tiny human or a little calf? How long has it been since you sat and contemplated how the Creator of this vast Universe has given you the ability to create something yourself? Have you created recently? 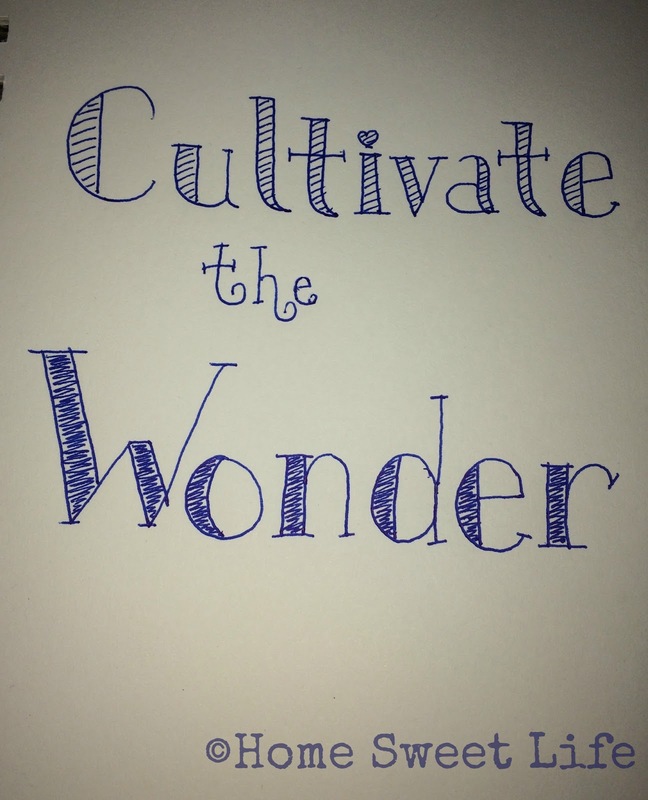 That creativity comes more readily when we cultivate our sense of wonder. Maybe it is time for you to create: a picture, a meal, a garden filled with flowers, or maybe it is time to make a pillow or a birdhouse with your children. Take time to plan a vacation, however short, where you can make memories. In the time between now and whenever that vacation happens, cultivate the wonder! 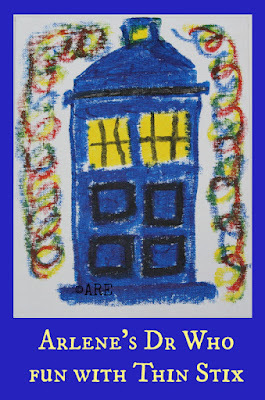 Do your children love adventure? How about learning about history? Have you seen the Adventures of Rush Revere #1 New York Times Bestselling Book Series by Rush and Kathryn Adams Limbaugh? Arlene (17) was super excited when we learned that the Homeschool Review Crew was going to get a chance to review all five books in the Adventures of Rush Revere Book Series. She had been checking them out one by one from the library to read them, but now she has her own complete set. 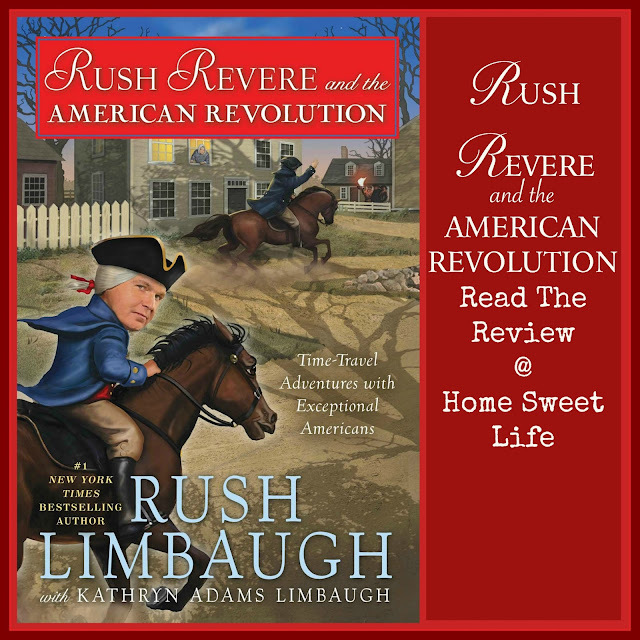 Whether or not you are a fan of Rush Limbaugh's talk show, I encourage you to read Arlene's review below and learn more about this awesome series of books about true American History. These books would work well as family read-alouds, or as independent reading for those ages 9 and up. Once you get your children started, they will want to read all five books! The books came well packed and wrapped up with some Rush Revere ribbon with a pretty bow. I had to stop Arlene from untying them until I could make sure I got a picture for you. These hardback books come with full-color pages of a high-quality paper. There are illustrations, photos of historic paintings and a few modern photos of the locations that characters visit. I was really impressed with the quality of the books themselves. 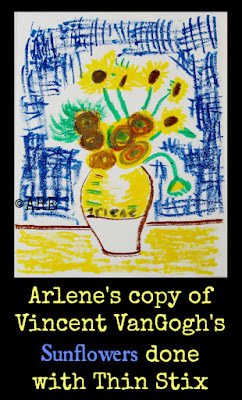 They are made to last, which is good, because Arlene has already read hers more than once! 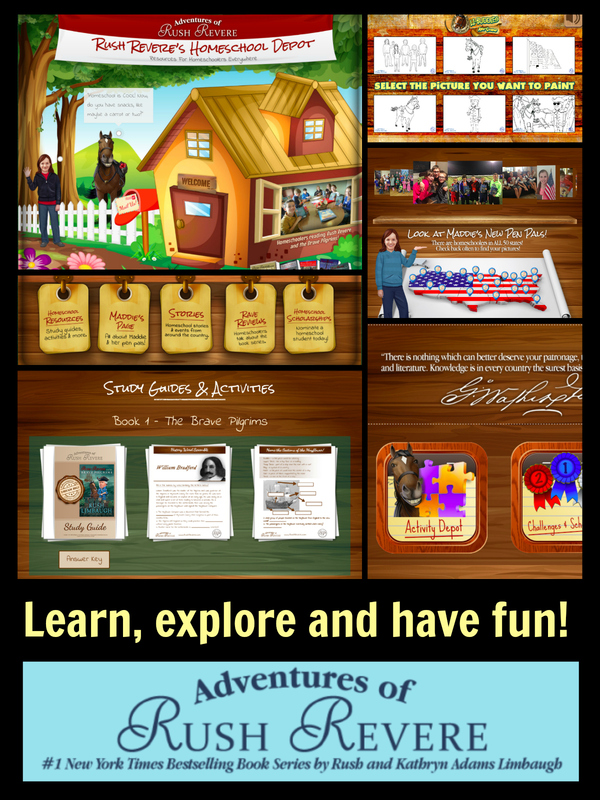 Besides being engaging stories that help explain history accurately, the Adventures of Rush Revere Book Series has an accompanying website with so many additional features and games. 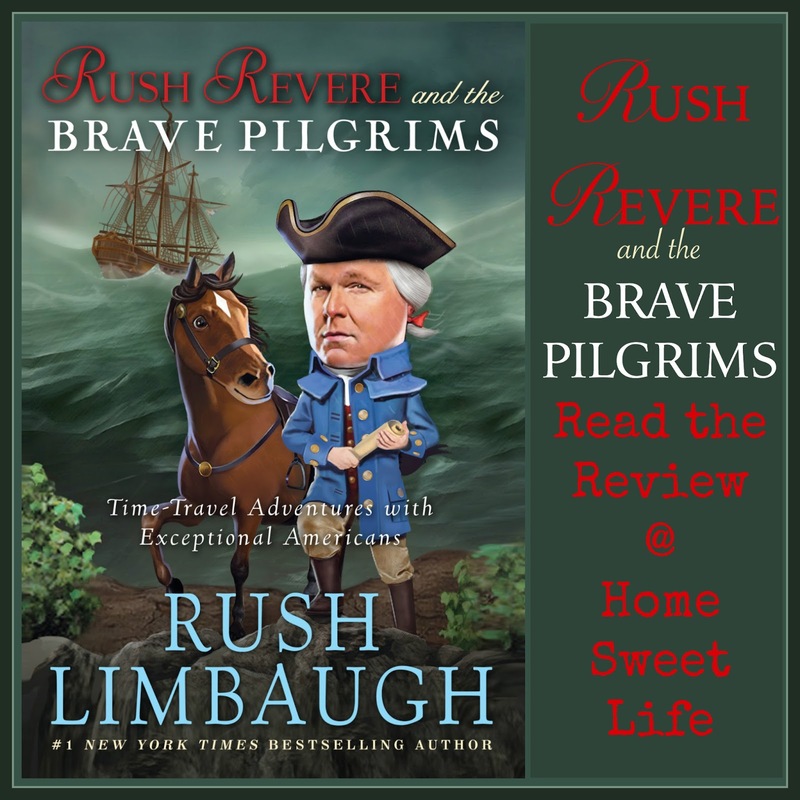 Actually, RushRevere.com includes links to several websites under the Rush Revere banner that include games and activities, study guides, a homeschool depot, scholarships, book summaries and so much more! I'll include a few pictures below to give you a peek. 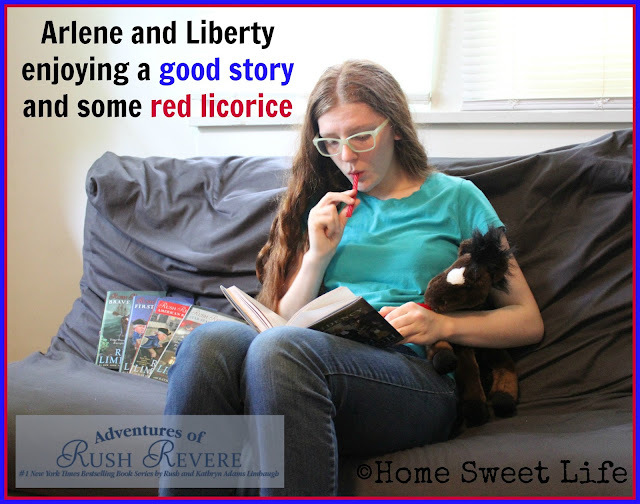 Thanks to the generosity of one of my blogging friends, Arlene now has her own stuffed Liberty. You can see then reading together at the bottom of this post. 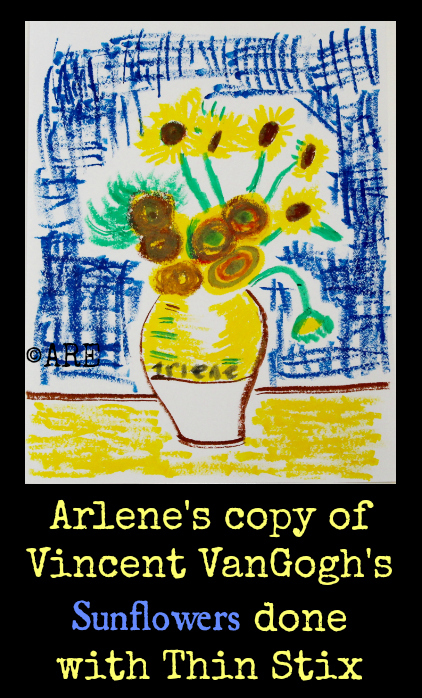 Now, the part I know you've been waiting for: Arlene's review! Arlene also made the following graphics for each book. :) I think my Rush Baby is almost all grown up. 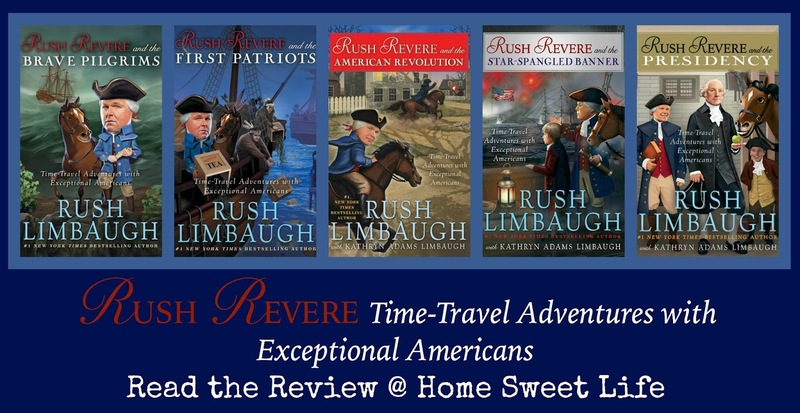 In Rush Revere and the Brave Pilgrims you are first introduced to Rush Revere, a fun, history loving substitute teacher at Manchester Middle School, and his horse Liberty, a time traveling horse from the American Revolution who loves history and food. He starts teaching the Honors History class when the normal teacher Ms. Borrington is out taking care of a sick family member. In his class you meet Tommy, a fun and funny boy whose jokes usually get him sent to the principals office, Freedom, a quiet girl who loves nature and animals, and Elizabeth, the popular and not so friendly “Queen” of the school. Mr. Revere is a fun teacher who instead of teaching from a boring textbook uses Liberty’s time travel abilities to show the kids “videos” of historical events and then asks them what they thought about what was going on at the time. 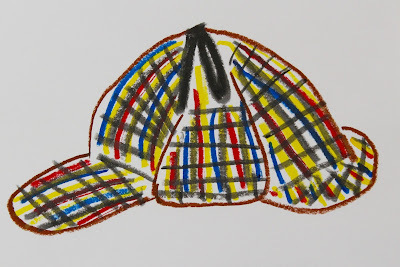 The fun starts when Tommy makes a joke in class about Rush’s outfit, (because he is dressed as his historical hero Paul Revere) and Rush, instead of sending him to the principal’s office, comes up with an idea to teach him more about history. So using Liberty’s time travel abilities he and Tommy go back to meet the Pilgrims who they have been learning about in school. Being there in 1620 Tommy learns more about just how hard it was for the pilgrims to leave the home they knew and take a dangerous sea journey to an all but unknown land. After spending some time on the Mayflower they come back to modern day to talk about what they learned. The next time they go they take Freedom (who also found out about Liberty’s gift) with them and they go to the time when the pilgrims were having a hard time surviving and how they managed to persevere despite all the hardships. Then they travel forward a little more in time and join the pilgrims for the first Thanksgiving and learn about the joys the pilgrims had about deciding to stay in their new land. In this book they meet some really cool historical figures like William Bradford, Miles Standish, and the Native American Squanto. In the second book Rush comes back as substitute teacher while Ms. Borrington is on vacation. On his first day back we are introduced to Cam, a new kid in town who has made friends with Tommy, he likes jokes and fun but can also be really serious and loves history. 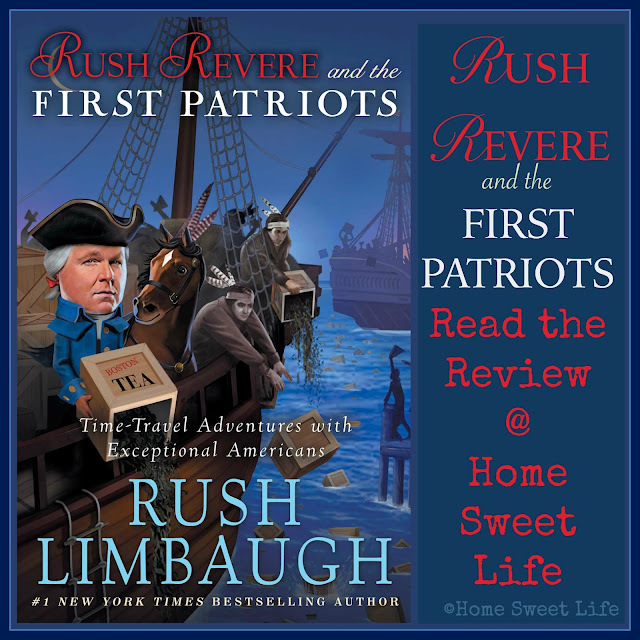 In this book Rush and the Crew (which now also includes Cam) travel back to the early days of America just before the start of the War for Independence, where they learn about why the Colonists didn’t like the king and what some of the events were that led up to the start of the war like the Stamp act, and the Boston Tea Party. They even visit the first Continental Congress. They meet really cool historical figures like Samuel Adams, Benjamin Franklin, Patrick Henry and even King George III. They also run into a bit of trouble when Elizabeth learns about Liberty’s abilities and tries to make Rush and the crew take her back in time so she can tell King George about what the colonies are planning so that he will make her royalty. But they foil Elizabeth's plan and make sure history stays as it really happened. This book starts when Rush gets a call from Cam’s mother, she tells him about how Cam’s dad is overseas with the Marines and how Cam is having a hard time dealing with it. She also tells Rush how Cam doesn't really understand why his dad is gone and what he is fighting for. She had learned that Cam liked Rush’s class and she was wondering if Rush could help him. We meet with Cam again and find him fighting with Billy who is a bully and Cam is trying to make him stop picking on his friend Ed. Cam is having a hard time so to help him feel better Rush organizes a summer history class with the crew to have fun learning history. In this book they travel to the American Revolution and meet amazing people like Dr. Joseph Warren, Paul Revere, Samuel Daws, George Washington, Henry Knox, and John Hancock. They visit important events during the revolution like Paul Revere’s ride, the Battle of Lexington Green, Bunker Hill, and visit General Washington’s troops while they were camped over winter at Vally Forge. At the end of the book they even visit the first Continental Congress and witness the signing of the Declaration of Independence. At then end of the book Cam has learned what the first American Patriots were fighting for and the reasons why his dad is fighting for them today. In this book Tommy’s grandfather whom he is really close to is in the hospital, and so to take his mind off of it Rush organizes a trip for the crew to Washington D. C. The crew along with Freedom’s Grandfather go around D. C. to all the cool museums and buildings from the capital building to outside of the White House. They have fun and meet a homeschooled girl named Maddie whom they hang out with. They go to a baseball game together and they make her a long distance crew member. During this book they go back in time to the Continental Congress and learn about Thomas Jefferson and the writing of the Constitution. They visit the War of 1812 where they meet Frances Scott Key while he was under the capture of the British near Fort McHenry and wrote what we now know as our National Anthem. They meet John Adams, Dolly Madison, and so many cool historical figures that they met before but get to know better in this book. In this book Cam wants to run for school president, but Rush realizes that he wants to run because he wants to be popular, not because he fully realizes what an important and hard job it is. 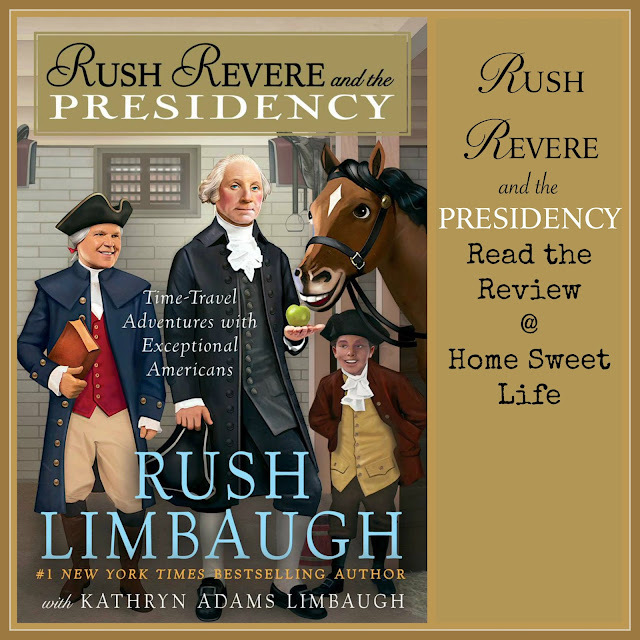 The Crew travels back in time to meet the first three presidents, while there Cam learns from George Washington, John Adams, and Thomas Jefferson the importance of serving your people, listening to everyone's ideas, and leading your country (or school) with wisdom. They also meet other important historical figures like Abigail Adams and Martha Washington where they learn about how every amazing person needs other people around them to help them. Also running for president is “Queen” Elizabeth who is only interested in the cool kids and gives Cam a hard time during his campaign that he must overcome. I really like the books because the characters come alive, both the historical figures they talk to, and the modern day characters like Tommy, Cam, Freedom, Liberty and even Elizabeth. The characters are fun, and funny, but also thoughtful about what they learned. I can't wait for the next book to learn more about the amazing history of our country. 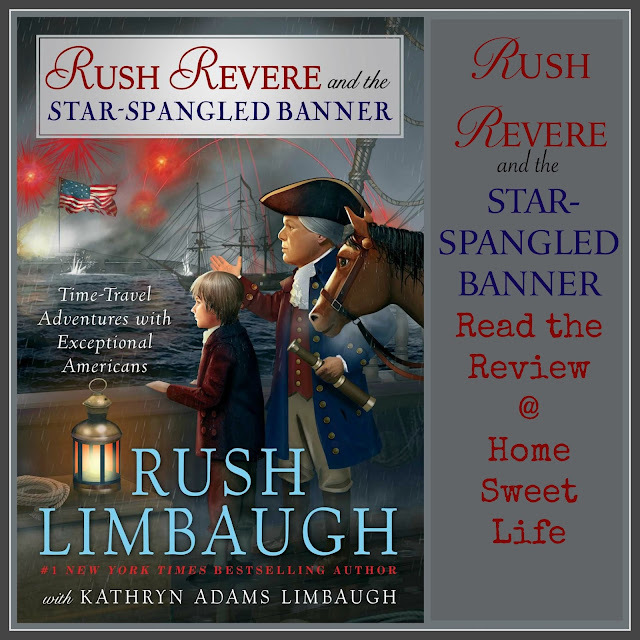 A big "Thank You" to Rush and Kathryn Adams Limbaugh for sharing their love of true American history with us through this amazing books series! 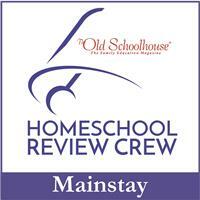 To read the other Crew families' reviews, click on the banner below. 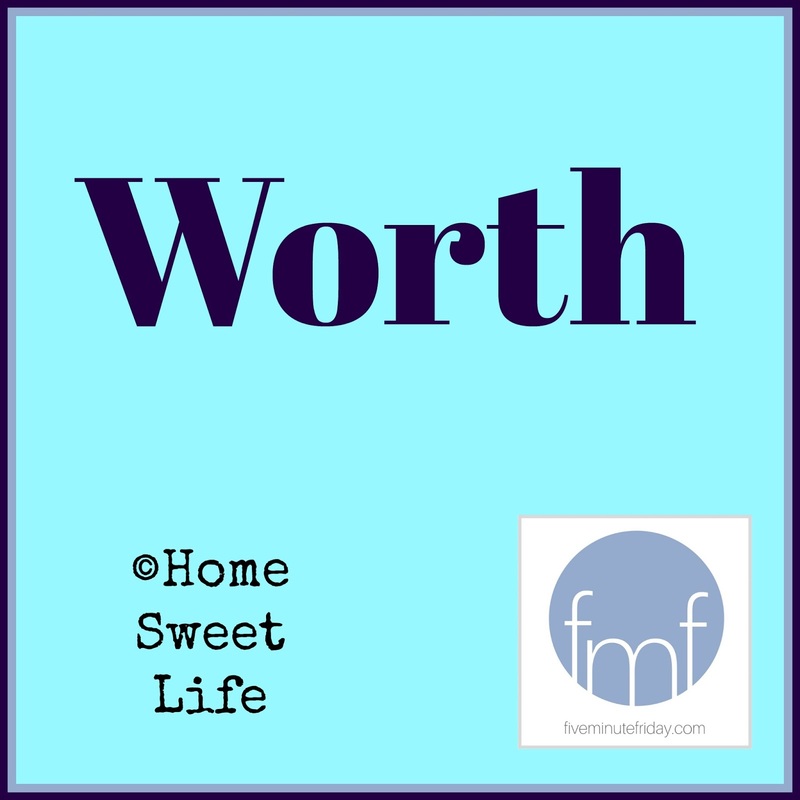 How can I sum up worth? Outside of Christ I have none. It is a simple fact that on my own I stink at this thing called life. Thankfully, God is so fullmercy and grace that He wanted to redeem me and now my WORTH is found in the righteousness of Christ's blood that was shed for me. 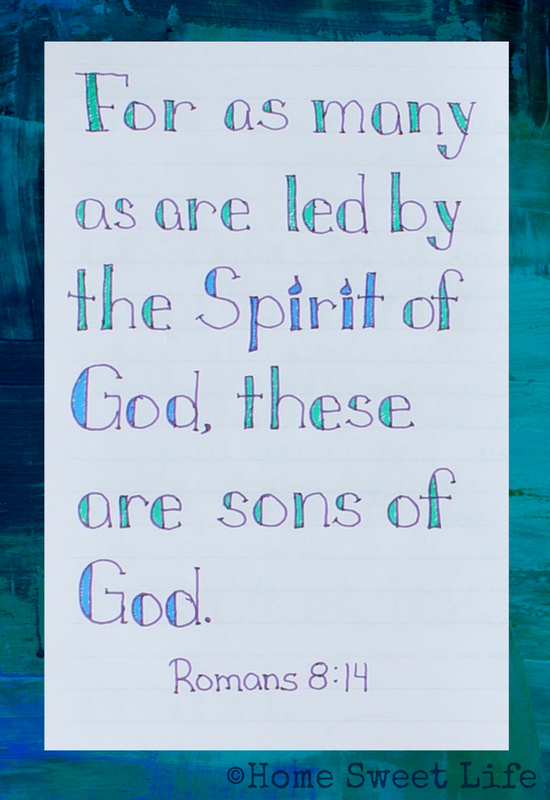 My writing only has worth as I use it to glorify God, so that is my goal - to point others to our loving Heavenly Father. 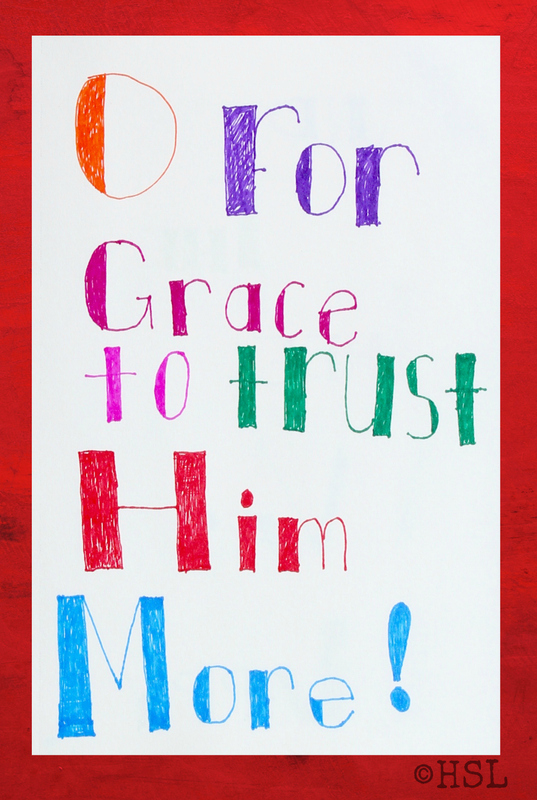 My parenting only has worth as I use it to show our daughters the grace and mercy that God holds out as a gift for them each day. 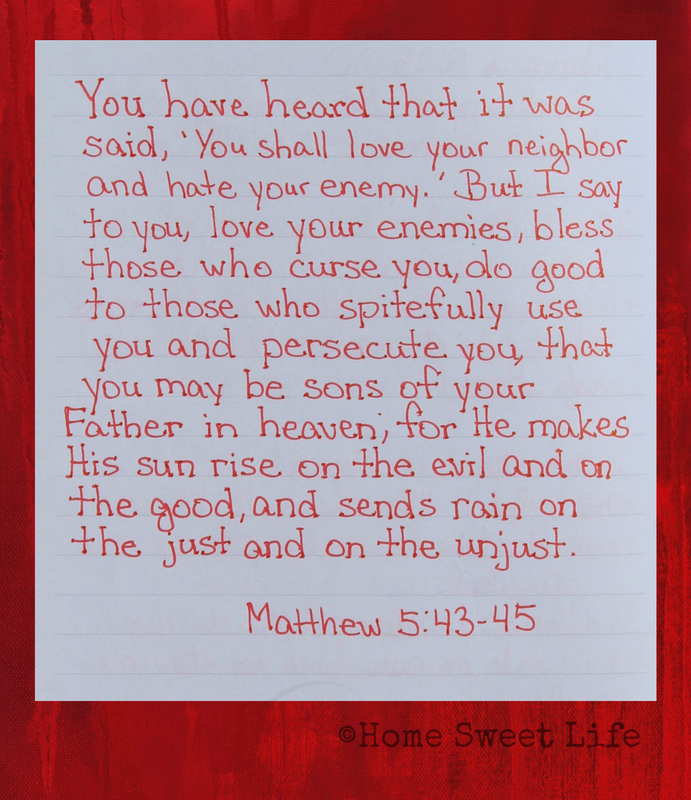 My role as wife is only worth having as I choose to love my husband as God commands, putting others before myself. 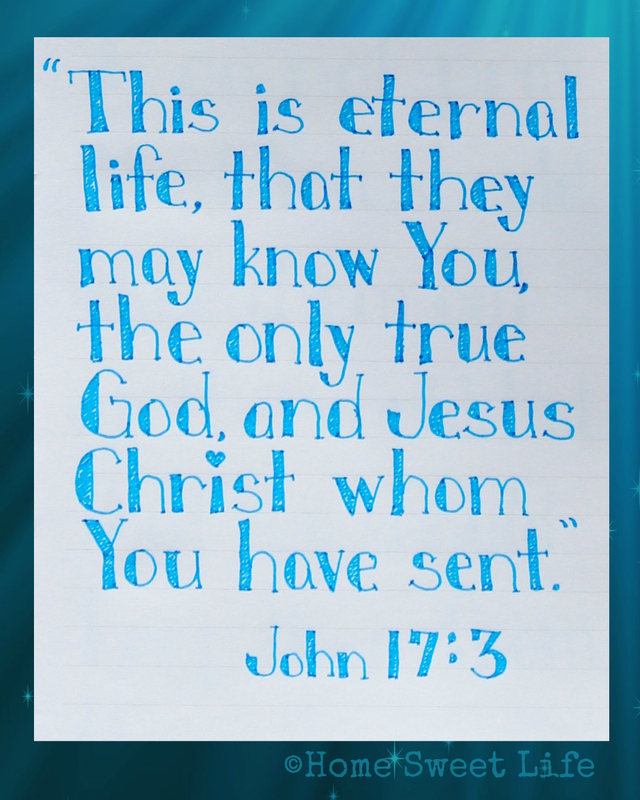 My life has worth today, because of Christ. I am joyful and sing, even through the trials, even through the days with pains, because I know that this life is temporary, and the life that awaits me with Christ is eternal, and full of joy. "I sing because I'm happy, I sing because I'm free, for His eye is on the sparrow, and I know He watches me." May you find your worth in Jesus Christ. He is enough, and you are worth His sacrifice! Remember last month when we gave our review of the Thin Stix 6 pk of Classic Colors from The Pencil Grip? They have generously offered to send a package of these wonderful, mess-free art supplies to one of our readers - it could be you! They are as easy to use as a glue stick, but so much more fun. The details are simple: One 6 pk of Classic Colors Thin Stix to one winner aged 18 or older who lives in the USA. 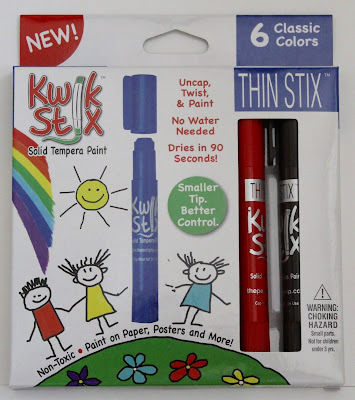 Besides all the fun we had with them, I want to give you some ideas from our friends who have also used the Thin Stix or original Kwik Stix. If you are not the winner, remember that you can purchase them directly from The Pencil Grip, on Amazon, or at Toys 'R Us. 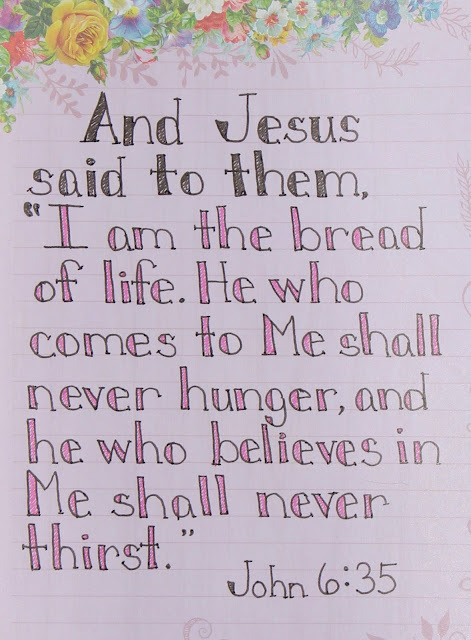 My friend Wren over at FINCHNWREN uses her Thin Stix for Bible Journaling. She wrote a really neat post about it back in February. Christy at The Travel Bags loves them for her children. 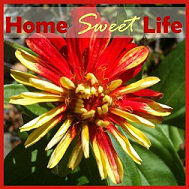 Their family travels full-time in a travel trailer. Painting without any water - sweet! Heather at Running With Spears had her girls use them to paint blocks. Meg over at Adventures with Jude & Friends let her boys just have fun painting. Truly, the only limit to these Thin Stix seems to be your child's imagination. If your high school student is wanting to get more hands-on experience in a field they enjoy but you simply don't know where to start, we have good news for you! 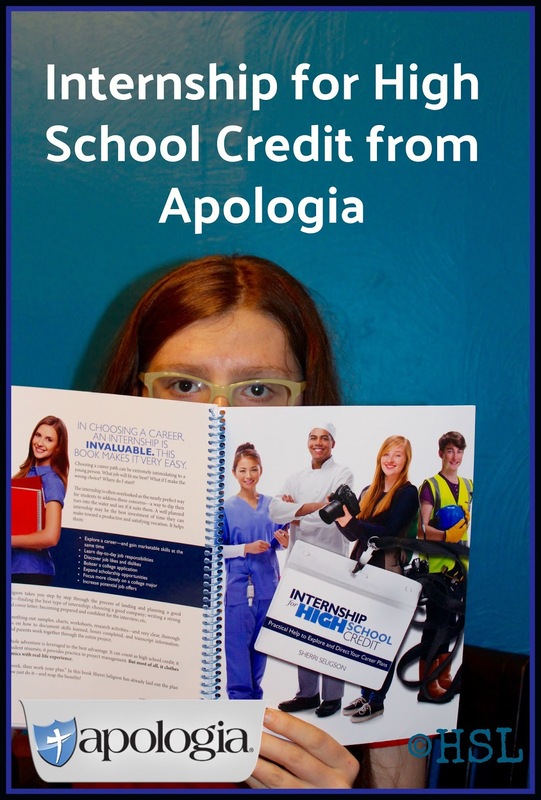 Apologia Educational Ministries recently released Internship for High School Credit and Arlene and I received one of the first copies to review. 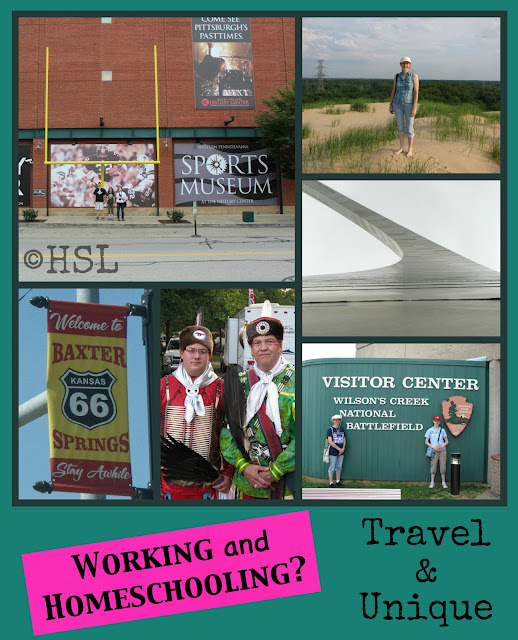 Families have often asked us about Arlene's internship/ volunteer position at our local living history museum. Their questions usually focus on two aspects: the students want to know how to get into the program, and the parents want to know about how I assign high school credit for what Arlene is learning and doing. I am happy to report that this new Internship for High School Credit resource addresses both of those questions, and many others that parents and their students should explore before beginning any sort of long-term internship of volunteer position. Handing over your child, even at 16 or 17 years of age, for a long-term commitment is a serious decision and parents want to make sure that what their students experience and what the parents expect falls within the broader outlines of what the family allows or limits, while still being a benefit to the employer. Internships for high school student are rarely paid positions, a fact that is covered several times during the book, so your youth volunteer wants to experience as much of the job field as they can in the limited time they have available. While there are several businesses in larger cities, and museums and libraries that may already have an established internship program to which your student may apply, what if your student lives in the country, or wants to study fashion design instead of computers? These are challenges that this Internship book helps you as parents and your student work through step by step. The author, Sherri Seligson, and her husband have successfully graduated all four of their homeschool students, and she has included sections for both the parent and the students to work through. There are four sections geared towards the high school student and one section specifically for parents. As a parent who has had both of her high school students pursue internships I highly suggest parents and student read all of the book before beginning. There is a lot packed into these 100 pages, but it is an easy read. The thought provoking questions may slow your student down, but encourage them to continue all the way through on the first read through because there are little gems tucked throughout. One of the parts I enjoyed reading are where Sherri's words of wisdom to the student that are in blue boxes throughout the book. These are often labelled: tips. These are office etiquette that your learn at your first job, but she helps the students ease into their internships by giving them these gems before the first day. They include things like dress code, how to ask for help, and how to think of others first in the workplace. Another key point the author makes is that while your end goal might be in a specialized area, if you can get an internship in a related part of that field it will help your student understand more about the industry as a whole before spending precious college time, and money, to find out it isn't a field that they want to pursue further. One of the examples she gives "If you are interested in veterinary medicine, some internship possibilities include zoos, local farms, dog breeders, horse stables, pet shops, and aquarium stores." Page 16. I think these extras will help the student realize the inter-connectedness of various fields of study and open their eyes to a wider range of places to apply. They also help with the thought process of working into a career goal by starting at an entry-level position. The section for parents focuses on assessing the quality and character of the business your student wants to intern with, child labor laws, transcript documentation, credits, and grades. I am thankful for this resource as it sums up a lot of those questions parents are frequently asking me in a concise manner, yet with solid direction as to how to adapt it to the homeschooling laws in your own state. As Arlene and I were looking over the later sections of the book, there are weekly worksheets for the student to fill out and Mid-term and End-of-Semester worksheets for the supervisor to fill out. She commented that these are similar to the evaluations that are done three times a year at her current volunteer position. 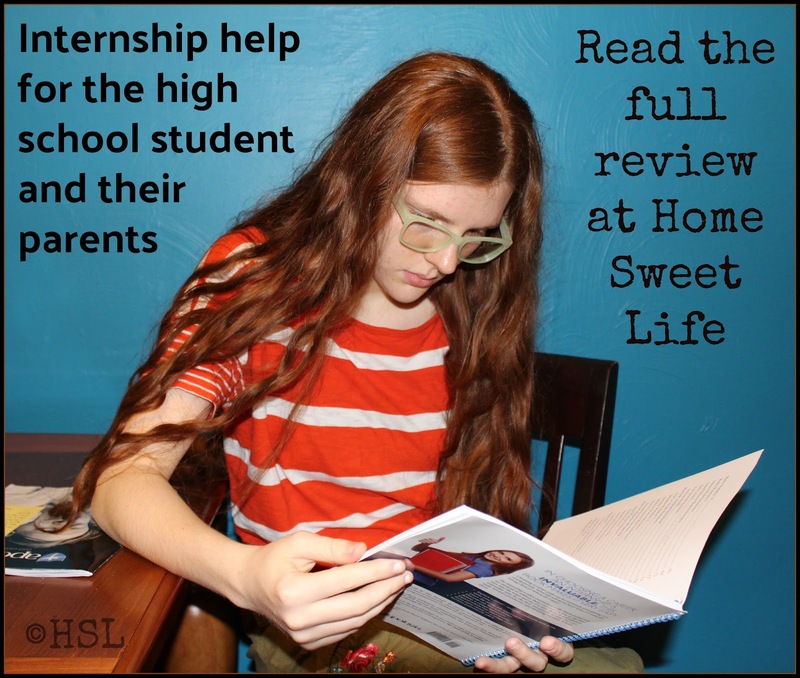 While many students will only intern for a semester, it should be comforting to know that this book is designed to give you as the parent what you need to help your child have a successful internship, and documentation help that matches up with those used by other established youth internship programs. The appendix in the back of the book gives some basic guidelines to guidance counselors from small schools who wish to establish some long-term internship relationships with local businesses. This resource would also be valuable to use by a small business that wants to recruit some local interns and grow their possible future workforce. At a retail price of $33, Internship for High School Credit is a great value! This is definitely a resource I will recommend to parents and students who want to know what to expect from an internship experience. For those just starting down their homeschool journey, Apologia has another new resource: How to HOMESCHOOL with Stunning Confidence, Contagious Joy, and Amazing Focus (DVD & Coursebook). Several members of the Crew also reviewed this new resource. You can read reviews of both new items by clicking on the banner below. 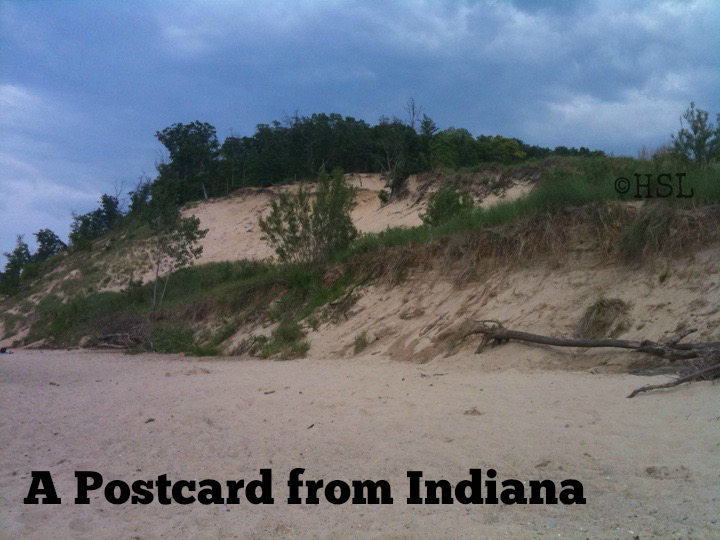 We sent a postcard from Indiana to our friends in the UK. 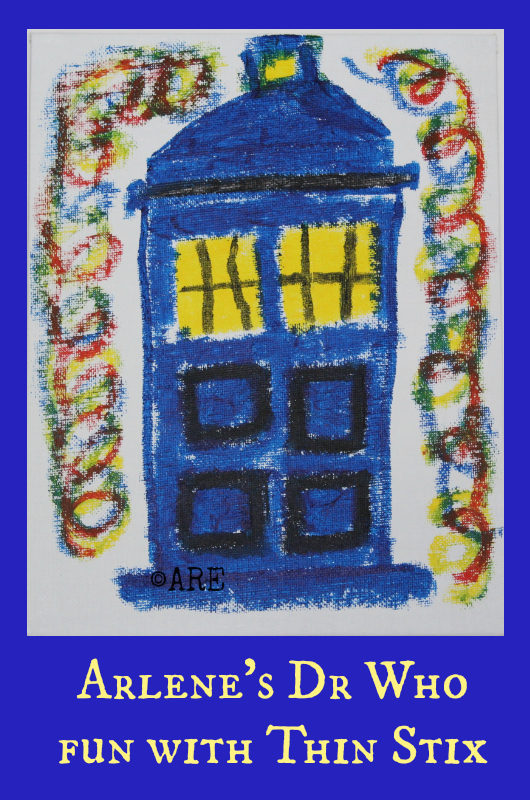 We sent a real postcard, and also a virtual one... you can check out our online one at Castle View Academy. 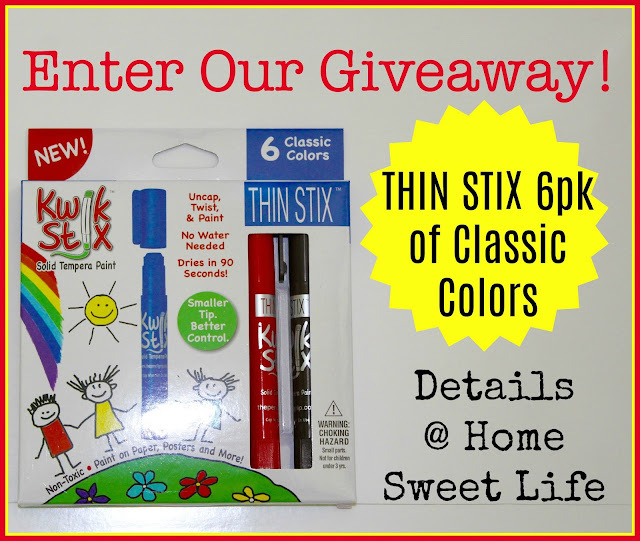 Also of interest, we will be hosting a giveaway for a Thin Stik 6pk of Classic Colors layer this week. Be sure to check back on Thursday when the giveaway begins. In the meantime, read our review of the Thin Stik from last month and get some inspiration! One of the biggest blessings in our home education journey has been the ability to make our own schedule. Not being tied to the local school district's calendar has allowed us a multitude of fun opportunities to travel, both within our state and across the US. By being available to travel when other students are in school, we've been able to visit many places in the just-off-peak seasons and save a lot of money. 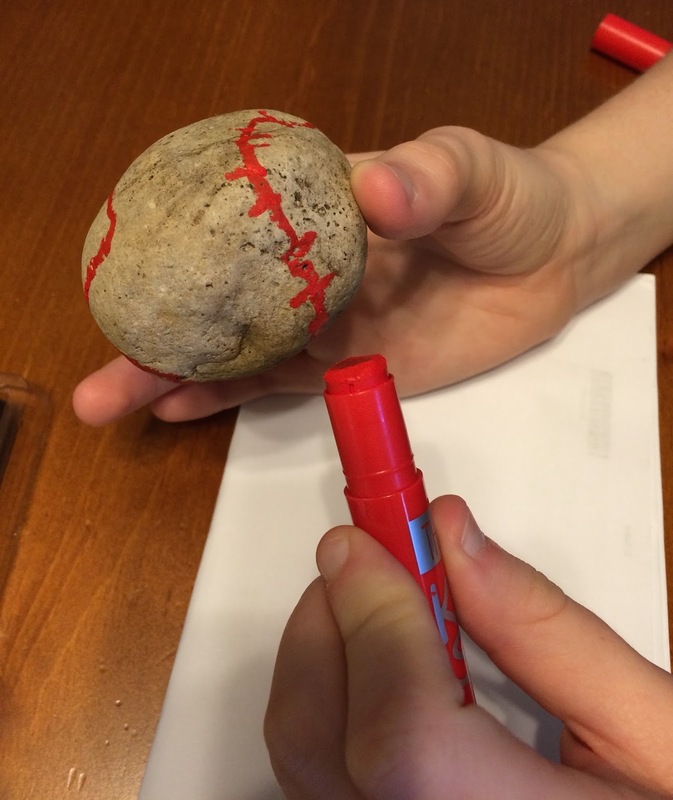 Another fun part of homeschooling is deciding to make a road trip fun and educational. I think our girls have been glad that I'm not the "write a report about it" kind of mom. We go, we have fun, learn something along the way, and chalk it up to history, science, art ... whatever fits where we were that day. Our girls' education has been unique - tailored to them as individuals, and tailored to what fits our family's budget and life. Some years we've gotten by with used books and $25 in school supplies, and other years we've had more available funds and spent a lot of time during the year on field trips. Other fun places we've gone? Chicago, IL ... on a holiday weekend - yes, we're a little crazy! So be unique, be yourselves, and have fun. If you get a chance to travel - take it! You'll be making memories that far outlast those math books! Come back next week and see what we come up with for V.
Until then, go check out the other Blogging through the alphabet posts!